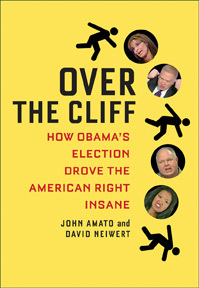 John Amato is the founder of Crooks and Liars, one of the nation’s most influential progressive weblogs. A pioneer of video blogging, Amato has led the nation in provocative and insightful online political analysis and advocacy. He has appeared on television as part of CNN’s election-night coverage, as well as MSNBC and E! Entertainment and featured in prominent newspapers including, The New York Times, Los Angeles Times, Washington Post, USA Today, and Forbes. C&L won the Koufax award as the best political blog in 2005. In 2008, the prestigious Bloggies named CrooksandLiars the Best Political Blog in 2008. Time Magazine honored C&L by naming them as being the in the Top25 Blogs of 2009. Amato is also a professional sax and flutist who has played with or recorded for bands and musicians including: The Goo Goo Dolls, Ringo Starr, The Knack and Duran Duran.